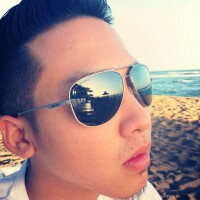 Hi I am Fumiya Akashika. I am not living in Dominican Republic, however I have been to Santo Doming once before, therefor I would like to write little bit of overview of Dominican Republic. Dominican Republic is home for more than 9,400,000 people , located right next to Cuba to the right ( and is only 1 and half hours away from Miami in Florida, the U.S. by an airplane) ,surrounded beautiful oceans which are Carribean Sea and Atlantic Ocean. 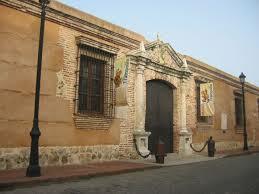 Its capital is Santo Domingo where is placed along south cost. This country is known for the first european permanent settlement in the America since Christopher Columbus landed there back in 1492. However there were people who had alrea dy inhabited in the land from 7th century way before European settler came, and they were called Taino. As For the official language they speak, it is Spanish , and this can be explained by the fact that Spanish settler ruled this land for almost 3 centuries up until 1821 when Dominican Republic finally became an independent nation. A Religious they believe in is mostly Roman Catholic which 95 % of total population is engaging themselves in. If you want to get to know more about Roman Catholic please click below. Dominican republic is 9th largest economic country in Latin America and 2nd largest in the carribean region. Its economy was depended on agriculture and mining for a long time, however now it is replaced to Service of more than 64.7 % of total labor force whereas there are only 5% of it engaging in agriculture as of 2012. It does seem to be getting better, but in the same breath, more than 2,000,000 people live in below poverty line. In addition to that, young people who are between 15 to 24 years-old, are having trouble finding a job, and it is said that unemployment rate for those people are 30.3% where 44 % of total unemployment rate are consist of female. When it comes to trading, Dominican republic has strong bound with the U.S., importing 45% of all the commodity from the U.S. and 46% of all the exporting commodities are sent to the U.S., which can be interpreted that Economy of Dominican Republic may be depended on the U.S. to some extents. They are mainly exporting things such asferronickel, sugar, gold, silver, coffee, cocoa, tobacco, meats, consumer goods, and importing stuffs such as foodstuffs, petroleum, cotton and fabrics, chemicals and pharmaceuticals. Speaking of currency, they use Dominican Peso, however a lot of people accept American Dollar especially around airports, at least when I went there, they took away my dollars without asking me if I had Dominican Peso. There is no place like Dominican Republic when it comes to culture, then how is it different and unique? well, the point is, because of its historical background, its culture is mixture of Native Indians Taino, Europeans and Africans. The most notable culture that should be mentioned is its food along with baseball. La Bandera, is the most common food in Dominican Republic ,foods made with rice, red beans. As for sport, Dominican republic is well known for its powerful and strong identification for baseball. it is always true that they are considered as one of the best baseball team around the world. There is one more important thing that is wroth mentioning about their culture: carnival. Throughout February until 27th of the month, they do have festival in entire nation celebrating their independence. Around this period of time, streets are covered with colorful declarations and is exciting to visit. There are many places you can visit in Dominican Republic, and there are also a lot of place which are not well known to foreigners. 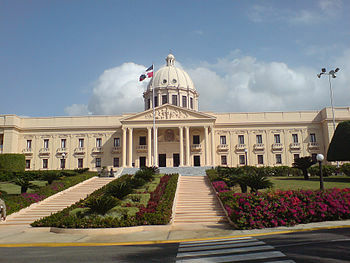 National palace is located in the capital city, Santo Domingo which houses the offices of the executive blanche of Dominican Republic, built back in 1944, and this building is considered the most beautiful building in Dominican Republic. There is no way you miss this one when you have oppotunity to visit this country! 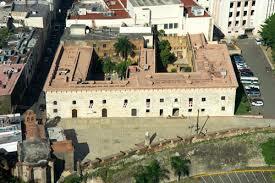 This palace is also one of the most important historical site in Dominican Republic, located in the capital city ,Santo Domino. This building was ordered to be made by the Spanish crown back in 1511 in order to house the main government office of the colony. I did not enter into this building for some reasons, but there were a lot of kids and adults in this building enjoying their times when I was there. As far as I remember, this building has more than 2 stories or just 2 stories. There are more places to visit there not only like buildings but also natures there. If you want to know little more about Dominican Republic, visit RedDeer International Travel. A Japanese and goes to Kansai Gaidai University in Osaka. He has studied in the US and is passionate about communicating with people from around the world. His main field of study is English, but he also studies world affairs, politics, and entertainment. He enjoys writing and facilitating the exchange of accurate and current knowledge regarding the world around him. He also enjoys playing piano and football; in addition, he has his own website, podcast and YouTube channel dealing with global topics. His motto is “the key to the world is in your hands, time to explore. Previous Previous post: What makes you mature?